A 50mm Pentacon Zeiss prime. - Stunning low light performance. It goes down to F1.8. 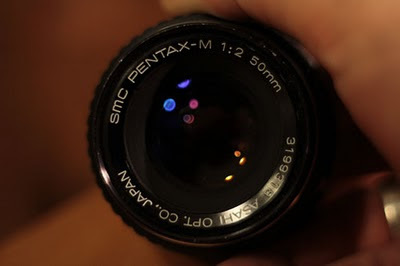 A 50mm Pentax-M prime. Similar to the Pentacon, but with a softer look. Goes down to F2. A 28mm Sigma prime. This is nice and wide, even with the aps-c sensor and it also is the right size thread for me to attach my wide angle convertor. This gives me a really wide angle shot. A Chinon 35 - 80mm Zoom with Macro. A basic zoom lens, but really nice build quality and good optics. A Miranda 70 - 210mm Zoom with Macro. A pretty long zoom. Again, great build quality and a lovely image from this 1980's lens. 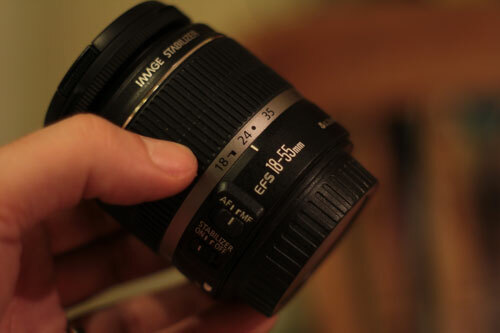 Finally, there's the stock lens... an 18-55mm autofocus with IS zoom lens. Not bad... works pretty well but dreadful plastic build quality. 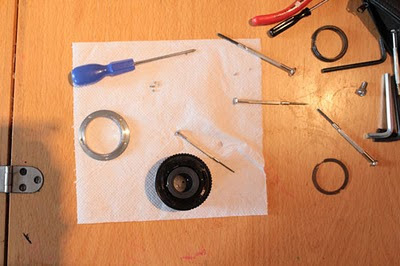 There's a few things you need to do to some of the lenses to make them work with the Canon DSLRs without harming them. 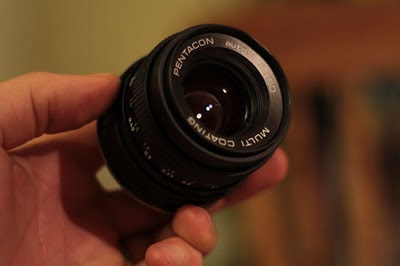 Some of my lenses are Pentax K-fit. The adapter was £3 from eBay, but you need to remove the pin and pin guard that stick out of the back of the lens or it will hit the sensor when you try to attach it. To do this, you just need to remove the backplate, then use a pair of wire snippers to cut the pin off as close to the bottom as you can. The guards are either metal or plastic. The plastic ones can be filed off using dremmel, but the metal ones sometimes need cutting off with a dremmel cutting disc or something similar. 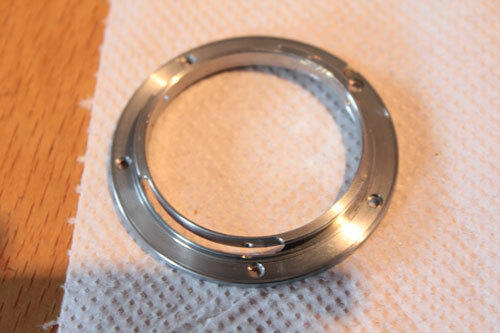 You can also remove the ball-bearing that makes the iris ring click if you want. It makes it more like a cinema lens and gives you some more flexibility to adjust the iris while shooting. Remember to remove the spring that pushes the ball-bearing against the iris ring or it'll come out at some point and the iris ring will then make a grinding noise. Sometimes there's a ring too which connects the iris control to the camera. 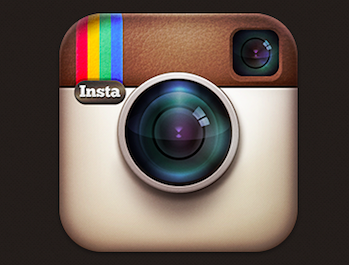 You can often just remove this. REMEMBER THOUGH - There's no using these lenses on the cameras they were designed for once you have butchered them!! It takes a little while, but when you're finished you have a some really nice lenses which will out perform a lot of the lenses you can buy in the shops now. The only difference is that they will only work in a completely manual mode.... but for filming, that's what we want! As well as lens butchery, i've also been playing with my new mattebox. I ended up getting the Pro-Aim one from India. I've heard various views on them...not all good, but for the £230 odd quid it cost, it's really nice. It came with 2 rotating filter trays, a full french flag and side-flags set up and various mounting options. I've been out shooting with it and it's pretty tough... maybe not upto the standard of the redrock or cinevate, but definitely on par with many other better brands. At the end of the day, it's a bit of plastic to hold filters and keep the sun out of your lens... it's a stitch up that they cost what they do. Have got some...will upload soon. Sean, which Miranda do you have? and how did you mate it to the EOS? I just picked up a Miranda 1.4/50 but it has a weird 4 claw bayonet mount. How did you manage to get around this? My Miranda is an old 80s 70-200mm zoom. 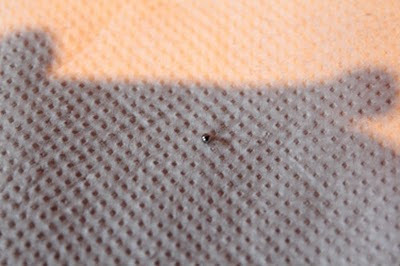 It's great as it's even longer thanks to the 1.6x crop on the 550D. Great for when i can't get close to what i want to shoot. No IS though, so i need to mount it on a steady tripod. I used a Pentax-k to EOS adapter to mount it onto the 550D. You can pick these up for about a tenner on eBay. Just search for EOS adapter and choose the one with the right fitting. I've got M42 fittings, Pentax-k and Nikon. I have some Miranda lenses from a 1973 Sensorex but they have a 4-lobed bayonet mount. The PentaxK seems to have 3 lobes. Any ideas? I'd love to use my Miranda glass on my M4/3 Oly, or a Canon body. Try to identify the fitting and then see if there's any adapters on eBay. 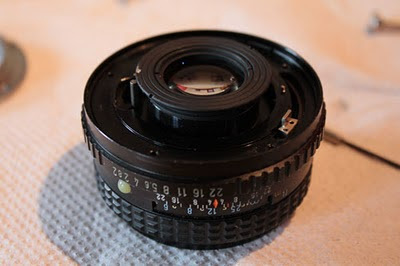 I've had a quick look around, but i can't seem to find a lens with 4 prongs on it. excellent website and agree with what your saying! I also use the Miranda 70-210mm Macro superb for video and still and cost me £5 real bargain. Thanks for this - had no idea that you could buy lens adapters but now you've said it, it's obvious! Hi Sean, I'm planning to get myself a Miranda 70-210mm and I have a Canon 550D. Did you have to do any cutting & filing to get the lens to fit the 550D ? Yes, if it's a Pentax K fit, you will need to cut off the pin and pin guard or it'll hit your sensor. A dremmel or some wire snippers will do it.